Only one place to start; with the American Superstar Winx - crowned the joint best racehorse in the world last year, who made history on Saturday by extending her record of consecutive wins with a 30th straight victory. Trained by Chris Waller, Winx broke the track record in winning the Apollo Stakes at Royal Randwick in Sydney for the third time under regular jockey Hugh Bowman. Her dominance does not appear to be anywhere near an end, as she is scheduled to run in the Chipping Norton next, back at Randwick - a race she has also won for the last three years. That victory began a busy weekend internationally, as Sha TIn took centre stage once again in the early hours of Sunday morning. The headlines once again were stolen by many people's best miler on the planet - Beauty Generation, who just keep going from strength to strength by winning his seventh race in a row. Winner of both the Group One Stewards Cup and Longines Mile in Hong Kong, the 6yo made light work once again on the turf in the Queen's Silver Jubilee Cup under Zac Purton. Seeking a double, Silvestre De Sousa's mount Winner's Way only managed to beat two home in the ten-runner field. Purton was it again a little later on, with victory as well in the Group One Hong Kong Gold Cup aboard the 11/10 favourite Exultant. Back closer to home in Ireland, there was another headline name smoking a cigar at Navan on Sunday. 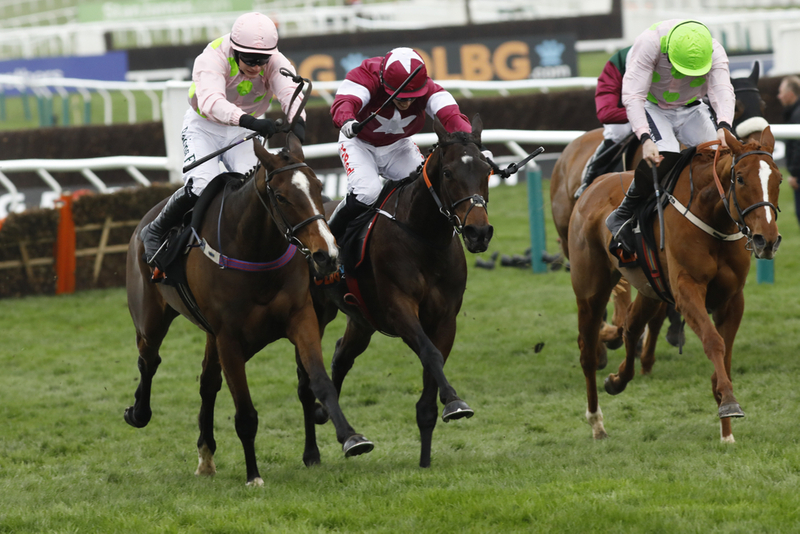 Last year's Grand National winner and three-time winner at the Cheltenham Festival Tiger Roll was sent off a 25/1 outside chance for the Boyne Hurdle. Half the distance of the National and reversing to hurdles in favour of mountain-sized fences, Tiger Roll - said to be only 75% fit by his trainer Gordon Elliott, proved his immense versatility, having only been previously entered to booster his fitness ahead of his spring festival exploits. However, it was almost effortless under the returning Keith O'Donoghue, with many suggesting he could run in the Stayers Hurdle! The Cross Country once again beckons though, and the Champ has been cut dramatically to sit no bigger than 5/4 for a repeat victory, having also shortened in the market to become the first back-to-back winner of the Grand National at Aintree since Red Rum in the 1970's. His performance on Sunday brought the house down, and is very quickly establishing himself as one of the greatest horses around in modern history. Winner of the Triumph Hurdle and the Cross Country already at Cheltenham - arguably the two most indifferent race's at the festival - is there anything he cannot do? Chris's Dream landed the other graded feature on the day - the Ladbrokes Novice Chase, and could be set to run in the RSA at Cheltenham, whilst Ucello Conti looks the leading player for Gordon Elliott in the Foxhunters Final. On Saturday, Presenting Percy skipped the Red Mills Chase and will head to Cheltenham fresh, leaving Monalee to clean up in the Grade Two contest. Henry De Bromhead's 8yo looks set to continue over two-and-a-half for the time-being, and looks destined for a place in the Ryanair, where he could clash with Ascot Chase winner Cyrname. Smoking Gun and the grey Duc Des Genievres were also smart winners on the card for Joseph O'Brien and Willie Mullins respectively.